These 20 puzzles cover the instruments of school bands (as well as rock bands) and orchestras, from brass and strings to electric keyboard and guitars. Special feature: permission is granted for reproducing the puzzles for in-class use! 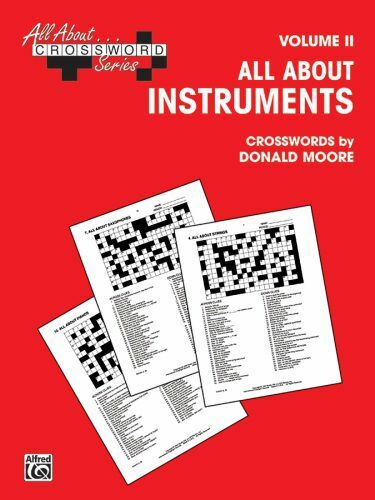 In addition to the puzzles, author Donald Moore includes instructions and use suggestions, helpful word lists, a bibliography and, at the end, complete solutions.